Despite being one of the world’s most popular tourist and trekking destinations, Peru’s Machu Picchu still carries a certain air of mystique on account of the many unknowns surrounding its existence: why did its inhabitant disappear so suddenly? How did it remain a secret until 1917? And how the heck did they manage to achieve that frankly logic-defying feat of architectural engineering that is “Ashlar” (the technique of constructing edifices without mortar)? Somewhat inexplicably, this enigmatic element also carries over to the logistics involved for visitors in the 21st Century, particularly trekkers, and one question we’re often posed by would-be wanderers in the Incan wilds is just what are the best hiking boots for Machu Picchu and the Inca Trail? In this article, we’ll answer that question with an in-depth analysis of what this trail demands of your footwear and then move onto a review of the best boots out there for prospective Inca Trail trekkers. Peru ’s ancient citadel of Machu Picchu is one of the world’s most famous historical landmarks. 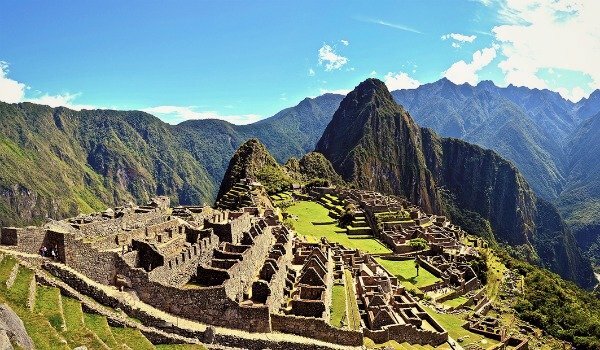 Browse any Instagram page or online list of outstanding archaeological locations, the world’s most popular hikes, or places to see before you die, and you’re sure to find Machu Picchu somewhere in the top three, if not in top place. Over 1.2 million people per year visit Machu Picchu, and tens of thousands of them do so by way of the epic, Indiana-Jones-esque, 5-day Machu Picchu Inca Trail, which is the most popular trail in South America. Some of those aforementioned Instagram snaps aren’t entirely helpful as regards assisting our planning and gear prep for our visit to Machu Picchu, often featuring scantily clad tourists posing around the walls of the citadel in “civvy-style” sneakers, sandals, or even the odd pair of flimsy plimsolls. For the most part, these carefree creatures are those who have arrived on tour buses rather than those who’ve tackled the full five-day trek. However, even trekkers who do take on the Inca Trail proper, for reasons that are perhaps understandable, mostly choose to do their snap shooting in more scenic spots rather than when ankle-deep in mud or busting lungs on the steep sections either side of the passes, leaving the rest of us with the impression that the hike itself is a bit of a dawdle. Below, we aim to let you know what you’re really in for with a little bit of debunking and a short and sweet synopsis of the type of conditions you can really expect to encounter. In short, the terrain you can expect to find on the Inca Trail is a bit of a mixed bag. If you’re taking on the full-length, 5-day trek (and not the shorter, two-day version from km 104), then along the way you’ll move through a cloud forest, alpine tundra, and, nearer to and within the citadel itself, a lot of steeper, narrow trails and stone staircases, some of which can become fairly perilous after rainfall. While the trail is very well maintained given its length and popularity (over five hundred pairs of feet and sets of hooves set off on it daily in the busy season! ), it’s not without interest and is a far remove from the manicured trails you can expect to find in many other popular tourist destinations around the globe, despite the original Incan paving stones still covering much of the route. This is, after all, mountainous terrain, and as such passes over lots of rough, muddy, uneven, and exposed ground. While more experienced hikers will find it relatively easygoing compared to more untrafficked mountain routes they’ve hiked in the past, for novices it’s a long way from a treadmill or the smooth, flat tarmac surfaces in the local park. Conditions underfoot on the Inca Trail vary significantly by season. Most visitors chose to take on the trek in the dry season from May to September, but those who would prefer to avoid the crowds may opt for a shoulder-season hike when tourist numbers halve but the trails are far more likely to be vaguely aquatic due to the amount of precipitation. 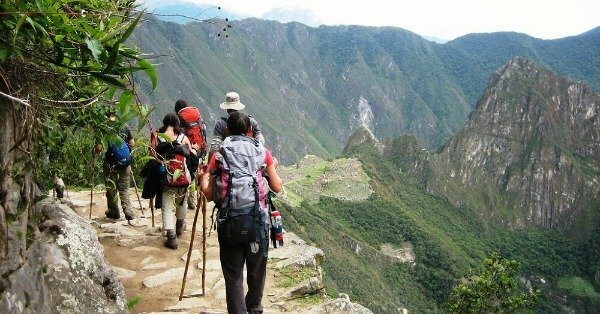 This is the driest period to trek the Inca Trail but also by far the busiest. At this time of year, optimistic trekkers could feasibly plump for trail shoes as opposed to boots, but we wouldn’t recommend it — the trail can become boggy even after a short rainfall and the added stability of a boot will save your ankles from any sprains or other mishaps on the uneven paving or bumpier unpaved sections. This “shoulder season” is a good period to visit for those keen to enjoy a quieter time of things but is likely to require an upgrade in footwear, with heavy rain showers and muddy conditions making both better grip and superior waterproofing a “must”. “Monsoon” time: the Inca Trail is closed in February and the most appropriate footwear for January treks would most probably be a pair of flippers. Joking aside, those who intend to hike in January should expect to do much of their hiking through marsh-like terrain and, for the most part, beneath the protection of a rain jacket or poncho. As with October through December, this period — the onset of the wet season — can bring a very mixed bag weather-wise, but is almost sure to throw in the odd downpour to make conditions underfoot more “interesting” (i.e. wet, boggy, slick on the paved sections, spooky on the steep staircases). 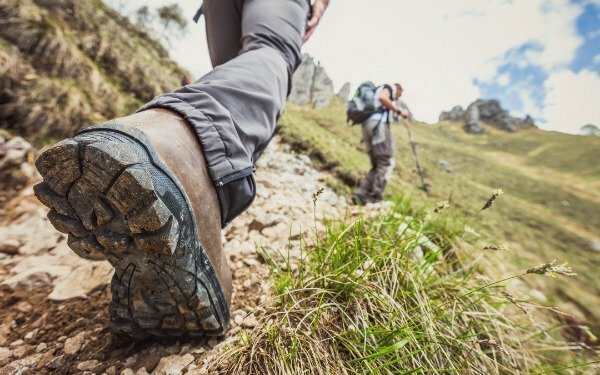 Most of the factors you need to take into consideration when buying hiking boots for the Inca Trail are the same as those for hiking anywhere in the world, with the exception that these particular boots will be stomping on, up, over, and through a destination, you’ve paid a small fortune to get to. This being so, it would be a damn pity (not to mention infuriating) should you not make it up to the famed Inca citadel on account of a nasty blister, sprained ankle, or any of the other injuries you might sustain after taking a tumble in a pair of boots not up to the job. Below, we offer you a short guide to the features and components that will be most important in ensuring you avoid the above mishaps and completing your Incan adventure in as much safety and comfort as possible. 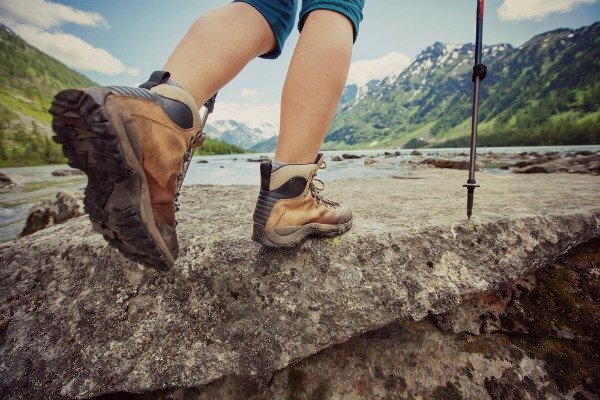 One of the most common questions asked of any “touristic” trekking trail is whether it can be done in a lighter trekking shoe or requires the support, waterproofing, and general sturdiness of a boot. One important point to note when prepping for a “tourist trail” is that just because there are tourists on it doesn’t mean it’s a cake walk. The Grand Canyon’s Bright Angel Trail, Scotland’s Ben Nevis, the Everest Base Camp Trek, and Zion National Park’s Angel’s Landing Trail all fall into that category of very highly trafficked, ostensibly “tourist” routes where luckless visitors have tumbled to their deaths or suffered serious injury, many due to the use of inappropriate footwear. On almost every other trail in the world, moreover, countless others have suffered a good foot-soaking or sprained ankle on account of having opted for low-tops instead of full-height boots. Because of the need for reliable and strong ankle support on the Inca Trail (or any of the other trails leading to the citadel itself) and the possibility of your feet getting drenched at any time of year, we’d advise against taking it on in a pair of trail shoes unless you’re an absolutely die-hard hater of regular height hiking boots and prepared to do some delicate tip-toeing and hopscotching around puddles and over bumpier stretches of trail. Although the trail receives a huge number of annual visitors, it’s very rugged in places and even on the paved sections requires solid ankle and arch support — both of which, of course, you’re far more likely to find in a boot than a shoe. Even those taking on the Inca Trail during the area’s “dry season” would do well to ensure they choose a pair of boots with solid, reliable waterproofing: even if you don’t get caught in a rain shower and manage to dodge any boggy sections of the trail, there will still be plenty of other opportunities to give your feet a good soaking in morning dew, puddles, and when traipsing through the cloud forest or alpine tundra. Also, it’s well worth noting that seasonal anomalies are not unheard of and that the elements rarely give much of a hoot about what we humans choose to believe or what adjectives (“dry”, for example), we happen to accord them. In short, even in summer a bit of a drenching is never out of the question, and just one of them could leave you with a pair of waterlogged boots for days on end if you happen to have a pair without adequate waterproofing. 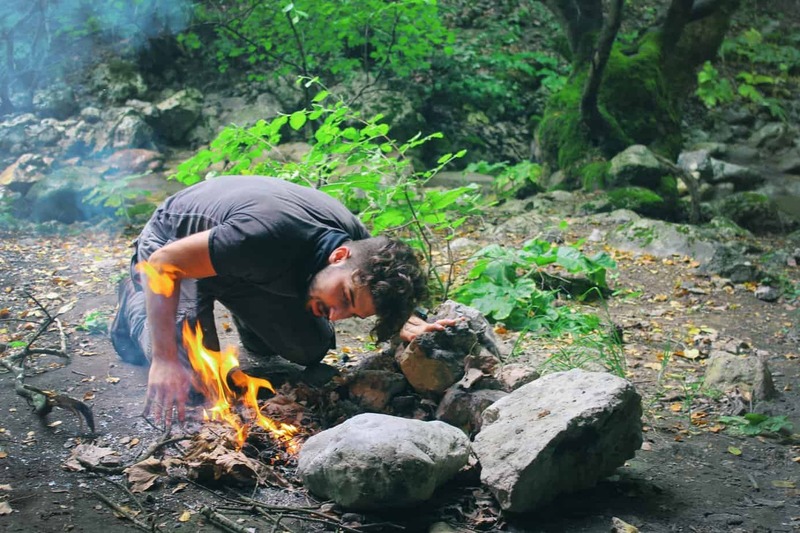 Most hiking boots are made with some form of waterproof or water-resistant material, but many lighter models often offer less in the way of waterproofing in an effort to provide enhanced breathability and performance at a lighter weight. For Machu Picchu, the ideal solution is a boot that does both. When buying, look for a reliable waterproof-breathable membrane fabric such as Gore-Tex, Columbia, OutDry, Keen. Dry, or Vasque UltraDry, all of which are top performers with very little between them as regards performance. The Inca Trail and the other “variants” that lead to the citadel at Machu Picchu are all very well-trodden and well-maintained. Nevertheless, the trek takes place in entirely mountainous terrain and, at 26 miles in length, it’s natural that certain sections are less groomed and feature conditions more like those you’d expect to find in less trafficked mountainous areas. In short, the trail might be less extreme than many other long-distance routes in the US and elsewhere, but sure footing is a must, particularly on the descent (when most accidents happen), on the steep, narrow steps around the ruins of Runkuracay, and on the slightly exposed sections of the trek up/down through the cloud forest and either side of the passes. Many designs of thread exist, and lugs come in varying depths on different models, but in general, the best types are those with aggressive, multi-directional patterns and deep-cut lugs, both of which increase traction and help keep you upright when conditions underfoot are doing their best to put you on your posterior. The weight of your boots can have a significant impact on your comfort and energy levels while hiking, and, as such, also on your general enjoyment of your time on the trail. 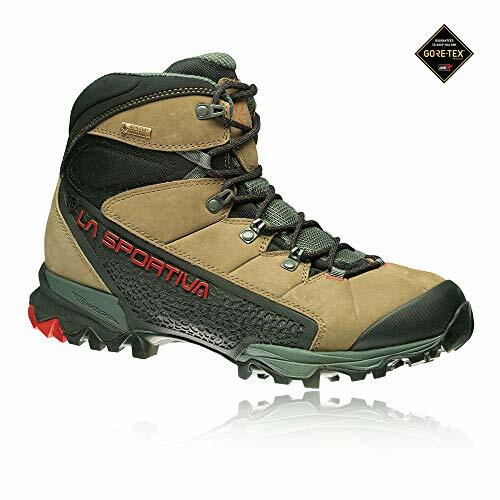 The advantages of heavier boots are that they usually offer more in the way of insulation, support, stability, and durability than lightweight models; the disadvantages that they are also likely to be bulkier and lead to leg fatigue far more quickly. Recent research has shown that when using heavier boots we can burn through our energy reserves far quicker than when using lightweight models, and given that the Inca Trail takes place entirely over 8,500 feet, this drain on our muscular mettle is magnified considerably by the effects of altitude. With any boots, the key usually lies in finding a balance between weight and certain aspects of performance. 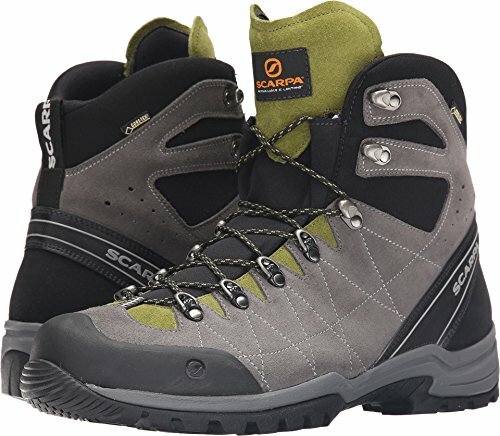 For the Machu Picchu trek, the relatively high temperatures, wet terrain, potentially slippy conditions underfoot, and high altitude all mean the ideal pick has to be a bit of an all-rounder — a boot that’s light enough that it won’t result in premature fatigue but also capable of carrying you safely over different terrain types and dealing with both the heat and a variety of conditions underfoot. Having spent enough $ to finance a small war just to get to Machu Picchu, the chances are you won’t be too keen on increasing your prospects of bankruptcy by forking out an additional hefty handful of dough for your footwear. There are, however, a number of awesome boots out there you can get your hands on (and feet into) without breaking the bank, and which will, of course, be a long-term investment rather than single-use throwaways suitable for your Machu Picchu trip alone. Ultimately, how much you should spend on your boots depends on just this — how much use you’re likely to get out of them post-Peru and/or how much you value you place on ensuring your feet are in something fit to task while you’re there if you envision tossing them in a cupboard beside that stash of old Hanson CDs, bell-bottomed flares, and other discarded purchases when you get back home. Got all that? Great! Okay, then let’s get down to the business end of things with our review of the best hiking boots for Machu Picchu in 2018/19. 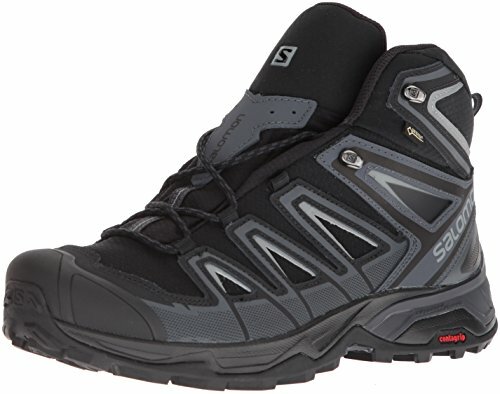 The Salomon Quest has been “flavor of the month” among day-hikers, thru-hikers, and backpackers for the best part of a decade and this latest iteration of the longstanding favorite raises the bar even higher by offering a few performance-enhancing tweaks at an even lighter weight than its predecessors. The Quest weighs in a very reasonable 2 lbs 14 oz and compared to many other boots in their weight class offer far superior cushioning, waterproofing, breathability, and very grippy soles that perform better in wet conditions. What we love most about the Quest, however, is that they offer all the comfort of a hiking shoe or sneaker but with all the added benefits — most notably stability and ankle support — of a boot. A boot, it’s worth adding, that seems just about custom-made for the Inca Trail owing to its overall suitability for treks in diverse terrain. For those heading to Machu Picchu on a bit of a budget, the Moab 2 Vent Mid Hiking Boot is an option well worth considering. This mid-height boot is one of the most comfortable we’ve ever come across and also does pretty much everything many of its full-height competitors do at a fraction of the price. It offers great breathability, plush cushioning in a thick EVA midsole, a very sticky Vibram outsole, and weighs in at a very friendly 2lbs 2oz. The biggest downside to the Moab 2, however, is that it has no form of waterproof lining, meaning that any amount of precipitation or wet conditions underfoot could leave you walking in a pair of heavy, sodden boots for days on end if you can’t manage to dry them out overnight. 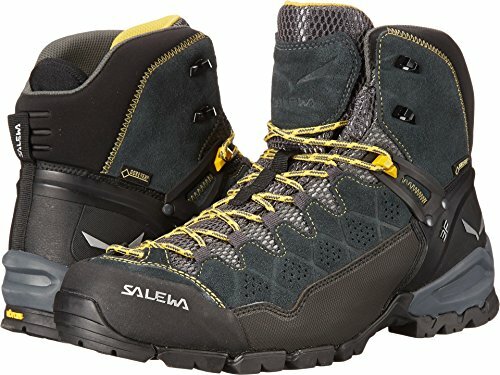 The Salewa Mountain Trainer Mid Approach is a mid-height boot that marries the performance of more technical mountaineering boots with the lightweight and comfort of beefier trekking models. If that hasn’t sold you on its worthiness for your feet, what follows just might. These boots are a genuine ticker-of-all-boxes, featuring solid ankle support, a robust 360-degree rubber rand for protection from bumps and knocks, a highly breathable and waterproof Gore-Tex lining, and a sturdier shank than found on the majority of standard hiking boots. 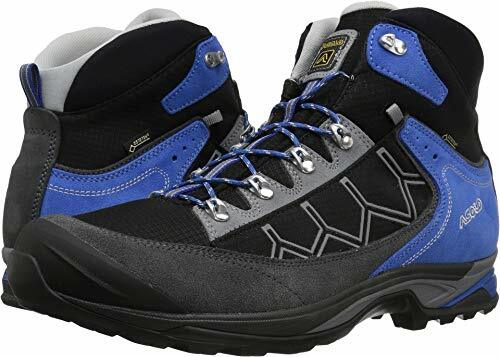 What makes these boots particularly suitable for Macchu Picchu, however, is all of the above features combined with a slightly stiffer sole for more stability on steep terrain and a more articulated, technical toe that will make footwork a little less clumsy on those delicate passages found in and around the citadel. The only downside to these boots is the price. While they offer more in terms of performance than budget options like the Moab 2, they’ll also set you back around twice as much — a big consideration if you’re buying them for this trip alone. Whether that hefty outlay is one you’re willing to make will depend largely on your budget but also on how much hiking you can see yourself doing in them post-Picchu. Like the Salewa Mountain (above), the R-evolution is a lightweight hiking boot that borrows a handful of key features and facets from technical mountaineering boots. In terms of quality and performance, this boot is truly hard to beat — from the second you pull your pair from the box they just reek quality, and their construction is so solid that this impression is likely to endure several years from the time of purchase. Add to that their awesome breathability and waterproofing and you’ve got a product that’s just about ideal for the Inca Trail…and just about any non-winter hike you might be doing thereafter. One of the most impressive features of this boot is the “sock fit” technology, which essentially means its built to hug the foot and reduce the bulk found in most other types of hiking boot. It might not be quite as well cushioned as boots like the Salomon Quest (few are…), but offers a distinct upgrade in both durability and quality of build. A boot that weighs in at a tiny 2 lbs 1.6 oz but makes few — if any — compromises elsewhere? 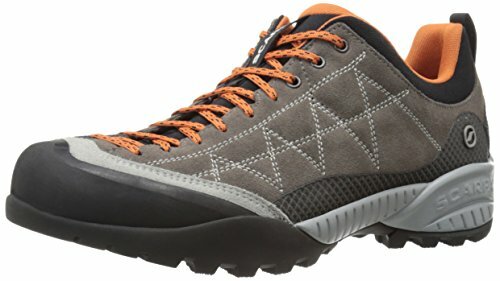 Winner of a Gear of the Year award from Outside Magazine in 2017, the La Sportiva Nucleo is a boot that wins our vote as one of the best hiking boots for Machu Picchu on account of its very lovable combination of sturdiness, support, breathability, comfort, and its all-important lightweight. It also uses Gore-Tex Surround Technology to offer unbeatable waterproof protection throughout the boot and nano-cell inserts that allow air to escape from the bottom of the boot, meaning your feet are just about dead certs to stay dry while others are soaking up with sweat or rainwater. Other nice touches on the Nucleo include a grippy Vibram Nano rubber outsole and the “Impact Break System” at the heel, which provides excellent traction on steeper sections of trail, particularly when moving downhill. To top it all off, these boots are exceptionally well-made, using very tough and hard-wearing nubuck leather uppers that offer the kind of durability and ankle support you’d expect from a far heavier boot. In the SCARPA Zodiac we find something of a hiking-alpine hybrid. Compared to other boots in our review, this boot packs a lot more stability and uses materials that are built to deal with more extreme, 3-season hikes in rough mountainous environments. While some may consider this to be overkill for the Inca Trail, the Zodiac Plus earns its place on our list on account of a number of winning features that make it more suitable for the hike to Machu Picchu than first appearances might lead you to expect. First up, this boot is light — incredibly light for a model packing so much in the way of performance, ankle support, and stability. Secondly, it’s as burly and tough as any other item in our review and offers waterproofing that’s on a par with the best of them. Despite all this, it still retains a level of breathability that’s second only to the Merrell Moab Vent. The most impressive aspect about this boot is the confidence it inspires. The sticky sole, aggressive tread, and excellent ankle support all combine to give you a lot more faith in your feet, something you’ll be very grateful for when moving over those delicate sections with the yawning precipices below. Also, the sole in this boot is a little stiffer than those on most others in our review and will allow you to tackle the steeper segments of the trail with far more ease. This boot’s pricey, to be sure, but you get a whole lot of goodness in return for your extra $ and a boot that’s going to be good to go pretty much wherever you want to take it once you get back home. 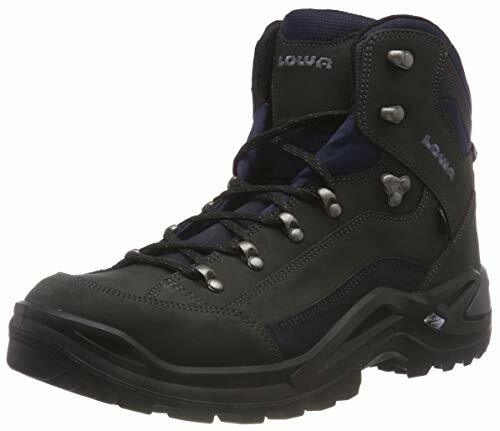 Another all-time backpacker’s favorite, the Lowa Men’s Renegade GTX is a burly, hard-wearing workhorse of a boot that doesn’t mess around with too many frilly fine details but does the essentials just about as well as any other boot we’ve had the pleasure of popping our feet into. The Renegade is one of the few boots in our review to reach the slipper-like comfort levels of the Salomon Quest, but at the same time also features a more rugged build and improved durability. At 2 lbs and 8 oz, this is a little on the heavy side for a mid-height boot (it measures 5.5” in the shaft), but if anything that added weight feels more reassuring than at all burdensome. Other attractive features to the Renegade include a tough nubuck leather upper and Vibram Evo outsole, both of which are hard-wearing and sure to serve you well on many a hike after your visit to the Andes. 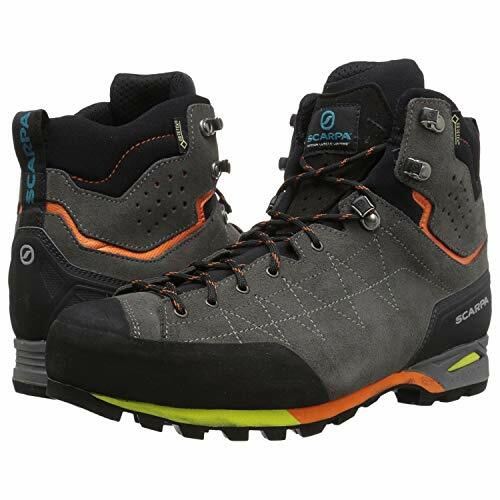 All in all, this is a good choice for anyone seeking a boot that doesn’t mess around and does everything you need it to do well without including some of the top-end touches (nano-fill inserts, sock fit, articulated toe) of some of the more technical boots in our review like the Scarpa R-evolution or La Sportiva Nucleo. 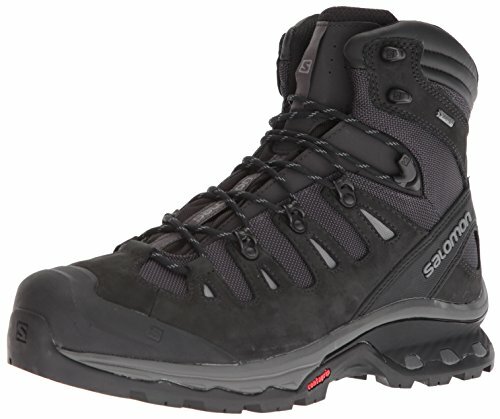 Continuing in the category of ultralight boots that lose little in the way of performance, the Salomon Ultra 3 MID is a mid-height boot that’s ideal for those who want the support and weather protection of 3-season hiking boot without paying the price weight-wise. At just under two pounds, this is the lightest boot in our review, and as such, you’d expect there to be a few sizable compromises. While the X Ultra doesn’t offer as much protection underfoot as heavier models like the Salomon Quest, Lowa Renegade, or Scarpa R-evolution, however, it weighs in at up to a pound less than these boots and offers comparable performance in almost every other category, using a Gore-Tex lining for reliable waterproofing and breathability, a grippy Vibram sole, and plenty of cushioning around the collar. Most importantly, this X Ultra 2 is as comfortable as any boot — lightweight or not — we’ve ever come across, offering all-day, slipper-like comfort. While this might not be the best boot for more rugged terrain, it’s just about ideal for the Inca Trail if moving fast and light is high on your list of priorities. The very sleek and stylish Asolo Falcon GV is a boot that means business. Despite being lightweight, this boot packs a lot of frills that make it something of a standout among its competitors, including a tough suede upper, a high-density EVA midsole that offers pillow-like cushioning, and the fantastically grippy new entry to the world of hiking boot outsoles that is the VibramAr Megarip, which is made with a rubber compound that’s so sticky on wet surfaces you’ll feel fairly invincible and Spiderman-esque even when boulder-hopping in a downpour. What we love most about the Falcon GV are not the features that add to its dexterity and performance alone, but these combined with its outstanding comfort levels: for hikers who prefer trail shoes, you’d be hard pressed to find a closer feel to your low-top favorites than in the Falcon. On the downside, the Falcon is a little easier to rough up than some of the burlier models in our review like the Scarpa R-evolution, the Scarpa Zodiac, and the Lowa Renegade, and it’s a touch on the pricey side. If however, you prioritize comfort and performance over price and longevity, be sure to put these somewhere near the top of your shortlist. The Zen offers a wonderfully functional, performance-oriented option for Inca Trail aspirants who are determined to take on the trek in as minimalist a fashion as possible or are exceptionally keen on using trail shoes instead of boots. The Zen are a long-term favorite of gram-counting hikers on account of their light weight, durable and rugged build, exceptional comfort, and the kind of dexterity and nimbleness you’d normally associate with an out-and-out rock climbing shoe. These shoes might not be the best bet if the trail is at all waterlogged or the skies decide to open, but in dry conditions, they are winners for anyone averse to the bulk and weight of a more cumbersome boot. TIP: If you are planning on buying the Zen Pro without first trying them on in a store, shoot half a size down as they tend to run a little on the large side. As mentioned above, one of the main mistakes made by would-be walkers of the Inca Trail is to underestimate its difficulty and the type of reliable, high-performing footwear necessitated by its often tricky and highly varied terrain. 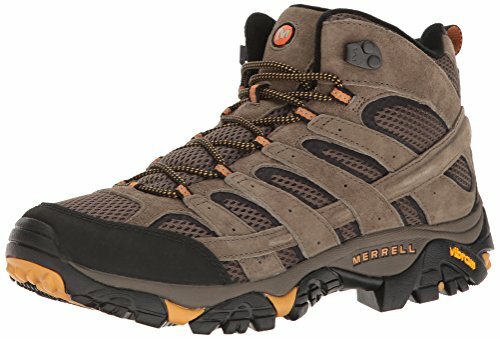 Choosing to take the trail on in any of the boots featured in our review, however, would represent a very sure first step toward avoiding this pitfall of taking things too lightly — all told, there isn’t one of them that isn’t all but ideally suited to the quite specific demands this trail places on your feet. Choosing the pick of the bunch is something that will require a little bit of thinking on your part — assessing your priorities and finding a balance between your budget, personal preferences, and the characteristics needed for a trek of this nature. All things considered, however, and if you’ll allow us to nudge you in the direction of an absolute winner for this trail type whatever your personal inclinations, we can’t see past the Scarpa R-evolution. This boot isn’t the lightest in our review by some way, but at the same time is hardly a “heavyweight” and for those added few ounces you get a whole lot of goodness that you wouldn’t want to sacrifice for any hike at high-altitude on demanding terrain. And that goodness, moreover, seems just about custom-made for the Inca trail. In addition to exceptional waterproofing and breathability, the R-evolution offers excellent ankle support, great traction, and grip, minimal bulk, great cushioning, the kind of comfort you rarely associate with a footwear that’s quite so hard-wearing, and far more dexterity than the other options featured above. All in all, you’d be hard pressed to find another boot quite so ideal for your Incan adventure! Vasque St.Elias GTX Boots Review: Do You Need These? Asolo Fugitive GTX Boots Review: Are These Worth It?